Citizens of Heaven Audio Book Series--Listen or Download for FREE! Home Citizens of Heaven Audio Book Series–Listen or Download for FREE! Looking for entertaining, adventures full of biblical principles that point people to Christ? Download and share this thought-provoking series with those who need to know Jesus. The Citizens of Heaven Series is great, family-friendly fiction for road-trips or just for listening as you work, exercise or relax. Listen or Download Enoch’s Secret and The Days of Peleg for FREE today. This Christian fiction novel tells you why. Enoch, a possessor of the One Mind, lives in a time of turmoil. The curse promised by the Ancient One has come to pass.First Father Adam is dead…without cause. Murder they understood. Father Cain taught them that. But, this sudden disappearance of the life force terrifies the Sons of Adam. They must find the “Bearer of the Seed”– the Son of Eve the Prophecy declares will cure them from the sickness and defeat death. When Enoch and his powerful rival, Tubal-Cain, set off on a quest to discover the truth, they encounter an unseen world of light and darkness, angels and demons, and even The One who began it all. 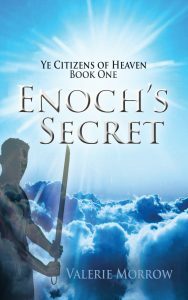 Enoch learns he must master the key to The Forces if he is to battle the evil spreading among the Tribes of Seth and Cain. But he must hurry, another Power has a plan for revenge, and if successful it will alter the destiny of all mankind forever. Enoch’s Secret (Citizens of Heaven Book 1) by Valerie Morrow is licensed under a Creative Commons Attribution-ShareAlike 4.0 International License. Based on a work at http://karasmatic.com/citizens-of-heaven-audio-book-series-listen-or-download-for-free/. Permissions beyond the scope of this license may be available at http://karasmatic.com/permission/. Bow to the Image! Has the whole world gone mad? Or is there something wrong with a statue that speaks and the giant man who makes the people worship it? Peleg is virtually alone in his misgivings. Meanwhile, all the rest of Shinar follows the mighty hunter Nimrod in building a Tower to reach the gates of heaven and even the Ancient One Himself. Yet, do the mysterious encounters and cruel whispers, heard since the Tower Temple’s construction, lead to something good? To Peleg the matter is simple, find someone who remembers the truth, someone who still hears The Voice…before it’s too late. So, Peleg embarks on a journey to learn the secrets his great ancestors Methuselah and Enoch knew. But little does Peleg realize, Methuselah and Enoch—the very one, taken so long ago to a dimension outside space and time—are both working just as fervently towards the same goal. 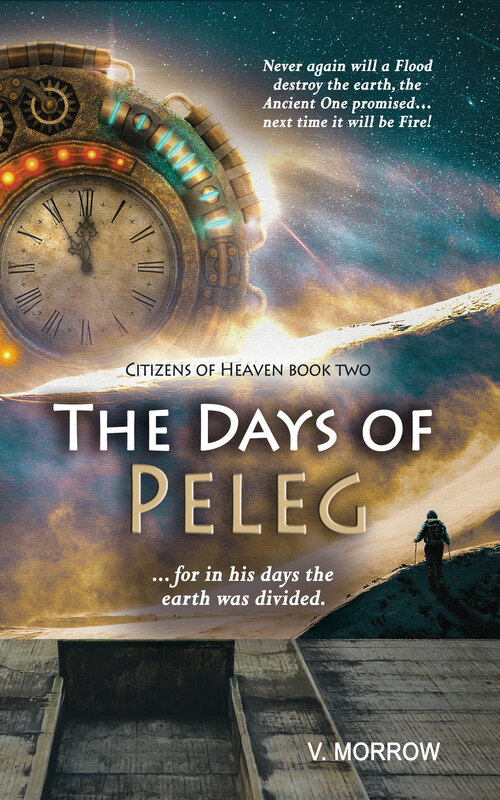 With the aid of a wise, old King, the tales from the stones and the “knowing” that burns, Peleg may be mankind’s only hope to stop the darkness descending from the Tower. Never again will a Flood destroy the earth, the Ancient One promised…next time it will be Fire!